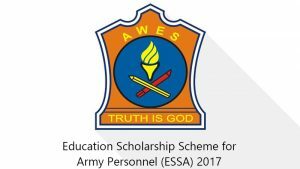 APS PRT Admit Card 2018– The Army Welfare Education Society will release the AWES Primary Teacher Admit Card 2018 soon. 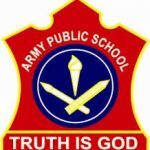 Candidates looking for the Army Public School PRT Hall Ticket 2018 will find the download link down in the sections which follow. APS Admit Card will be Available for Download soon. Applicants are advised to keep an eye on the official website and follow our page as well so that we can update you about the AWES PRT Hall Ticket 2018. Also, note that PRT Selection Procedure and the exam center details are also given down below. The official release date of the Army Teacher Admit Card 2018 is given to be 3rd November 2018. Candidates can expect the Army Welfare ES PRT Admit Card to be out by the date prescribed. The official exam dates are also given below in the table and also in sections that follow. The selection procedure of the Army PS Recruitment is going to be based on the following stages. The mains cities in which the AWES PRT Exam will be conducted are listed as follows. These are the 70 cities in which the APS Recruitment Exam is going to be conducted. The Army Public School Recruitment came out in the year of 2018 with 8000+ vacancies all across the country. People from all around the nation applied for it. The Primary Teacher vacancy will be released in a few days (on 3rd November to be exact). Check out the AWES Primary Teacher Recruitment notification here. If you have applied for the APS Primary Teacher recruitment, then make sure to start preparing for this exam along with the syllabus and the exam pattern. This will be impossible without going through our APS Primary Teacher Syllabus 2018. The official Army Public School PRT Exam Dates have been released by the Army Welfare Education Society. The tentative APS Primary Teacher Exam Dates are given below and we urge everyone to start preparing for it from now onwards. The Exam Window for the year 2018-19 is given above. These days tentative dates which means that they are subjected to change. First off, candidates need to visit the official portal of the institution which is aps-csb.in. Next, click on the link which mentions the Admit card for the APS Primary Teacher recruitment on the latest notifications. Now, go to the login page and enter your login details and download your official hall ticket for the year 2018. 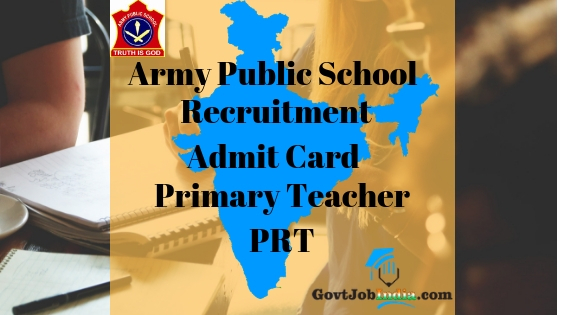 Hope you liked this article about the Army Public School Primary Teacher Admit Card 2018. Make sure to share this article with all those who might be appearing for this exam along with you. The big vacancy can be quite a life changer for all those who appear for it seriously. Make sure to subscribe to our website for daily updates about the AWES / APS Recruitment Notification 2018-19. Furthermore, make sure to comment down below if you have any doubts related to the same. GovtJobIndia.com is here to help you out with all your govt job-related queries. Bookmark our site for the latest updates about the govt jobs throughout the country.